A small to medium sized business today needs to move at the speed of light in order to remain competitive. All too often, employee productivity is tied directly to the responsiveness of the office internet connection. With remote workers, social media, online apps, cloud databases, email, and other web based technologies forming the hub of a company’s communication system it is critical to maximize internet speed in order for work to be completed quickly. Internet speeds have come a long way from the days of Dial-up and many different technologies have emerged to help connect your small to medium sized business computers to the Cloud. 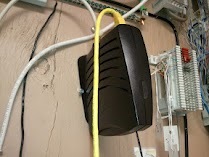 The most common of these technologies for an office include DSL, Dedicated T1, Cable, and Cellular. With each differing technology comes a range of different features, varying reliability, and different levels of performance, price, customer service and ease of use. While the least expensive choice for business solutions is DSL, it is usually the slowest speed which can have a crippling effect on workplace productivity. Whenever taking speed into consideration, it is important for a professional to evaluate the number of computers, devices, and what they will be used for. That information can be compared to speed ratings for the various types of internet available. 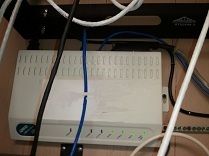 Another important point to evaluate with intended usage is the need for 24×7 connectivity. In some cases, for example if an email server or web server is part of the office technology deployment, it is more important to lean towards the more reliable solutions to avoid any disruption in services. The most reliable and expensive solution is a dedicated T1. A T1 maintains a connection to the Cloud at a constant speed with 99.99% up-time. While this is the most expensive choice, it has the highest probability of working when you need it. If mobility is what you’re after, you’re going to want to take a look at cellular. Cellular data technologies allow you to take your work with you wherever you go. And last but not least, the best bang for your buck overall is Cable broadband. This is a great choice if you need a lot of speed at a great price. Are you moving offices, looking at starting up a new office, or just need to upgrade your existing office? my PC Techs is a locally owned, Phoenix, Arizona based technology consulting firm. We have special connections to all of the big data providers in the area, including Cox, Integra, Verizon, and Centurylink (formerly Qwest). We can help your business evaluate speed, price, and reliability and decide between DSL, T1, Cable, or Cellular. Most importantly, we will help you get the best price and make the installation easy for you. Speed up your office and get more work done in less time for less money. That’s what we do at my PC Techs. 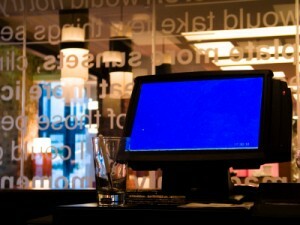 We help your business increase productivity, save time, and save money. 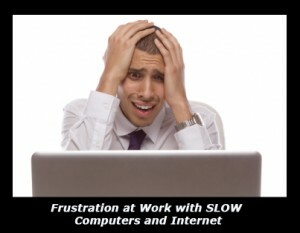 Don’t lose another minute of productivity due to slow or unreliable Internet access! Give our experts a call today @ (602) 456-0150 for a free consultation and find out for yourself why our clients rave about our superior service and affordable prices.